This probably falls under one of those 20-things-you-didn’t-know-about-me categories, but I have been wanting to start composting since we moved into our house in 2011. 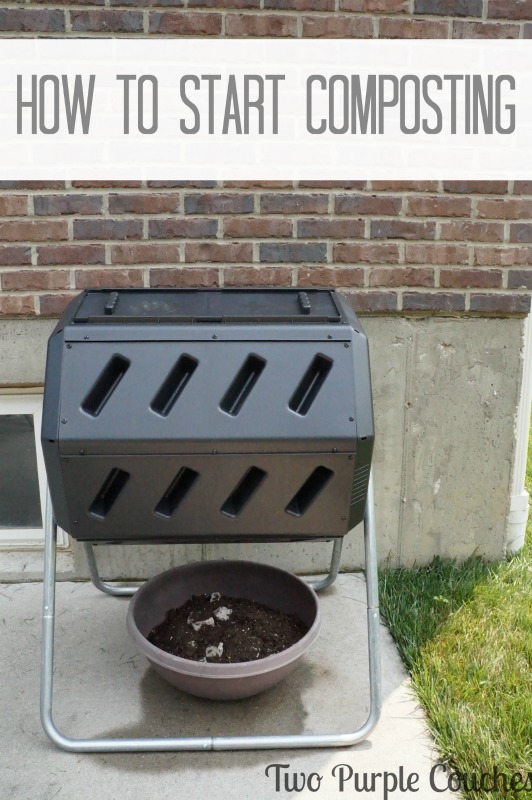 This may be a strange house goal, but for as much as I enjoy gardening, it only made sense that eventually I would want/need a compost of some sort. Composting is a bit of a science, but a pretty easy one at that. 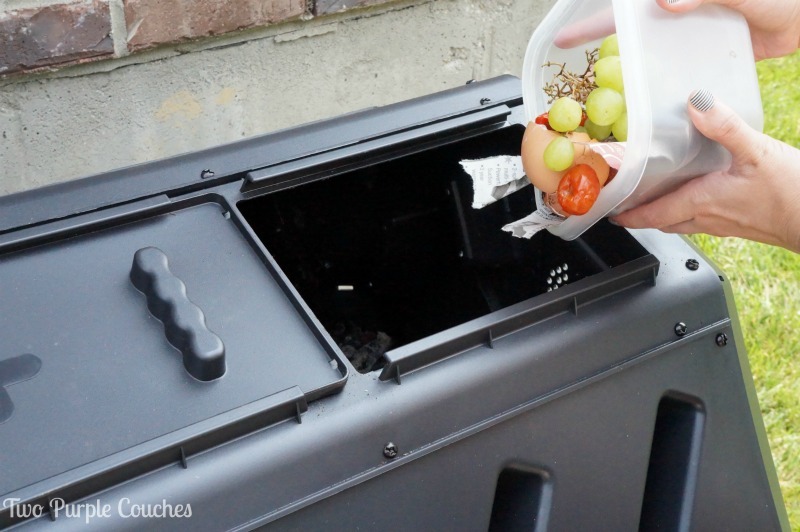 I am just getting mine started, so I thought I’d share my journey with you and show you how to start composting yourself! I guess you could say that I’ve been “sort of” composting since we moved into our house, if chucking our raw food scraps into the woods counts. The only problem with this scenario is that I don’t get to reap the benefits of said compost, i.e. amazing soil to spread around my flower and vegetable beds. It also makes me happy that I can spare a bunch of stuff from going into a landfill. While my dad always had an open compost pile tucked away in our backyard, Tom wasn’t quite on board with this idea. He’d rather it be contained or hidden in some way. I’ve been looking for a container alternative and I’ve heard good things about these YIMBY tumbling units. So I finally bought one for myself, and Tom and I assembled it over the weekend. It is worth noting if you do purchase one of these, it’s really helpful to have a buddy to help you assemble it. While it’s not a terribly complicated process, this unit is large and will turn and become bottom-heavy as you attach the drum pieces, so it makes it a tad unruly if you’re trying to put it together on your own. 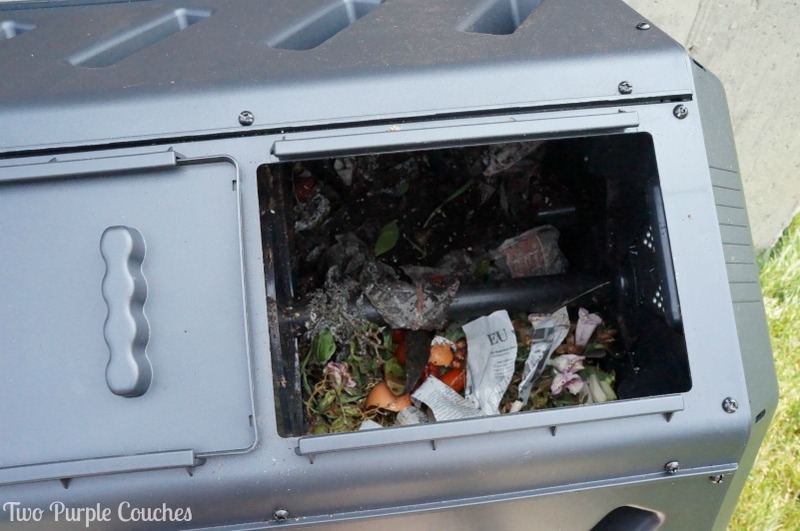 Now, on to the good stuff: how to start composting! It’s all about balance. A 50/50 balance of “green” to “brown” is all you need to yield a batch of compost. 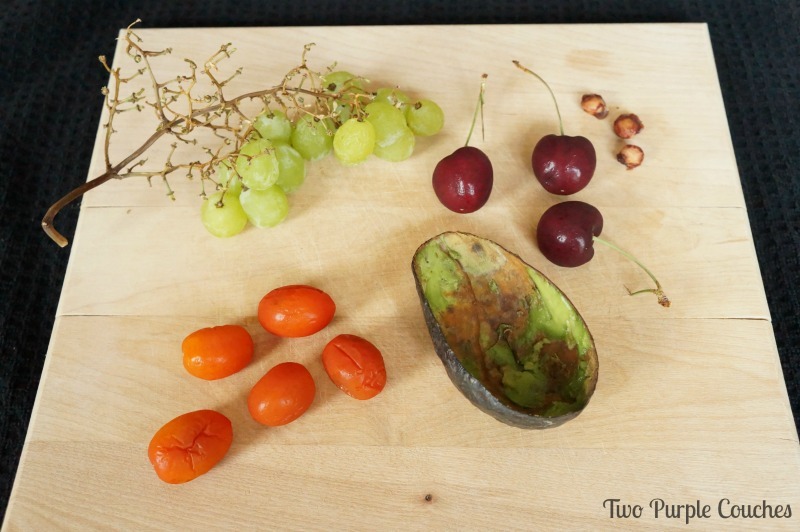 “Green” scraps are food scraps. Always raw, never cooked (though I did read that you can add burned toast to your compost). Think of the scraps created when you prep and eat fruits and veggies, like orange peels, apple cores, carrot tops, peach pits, etc. 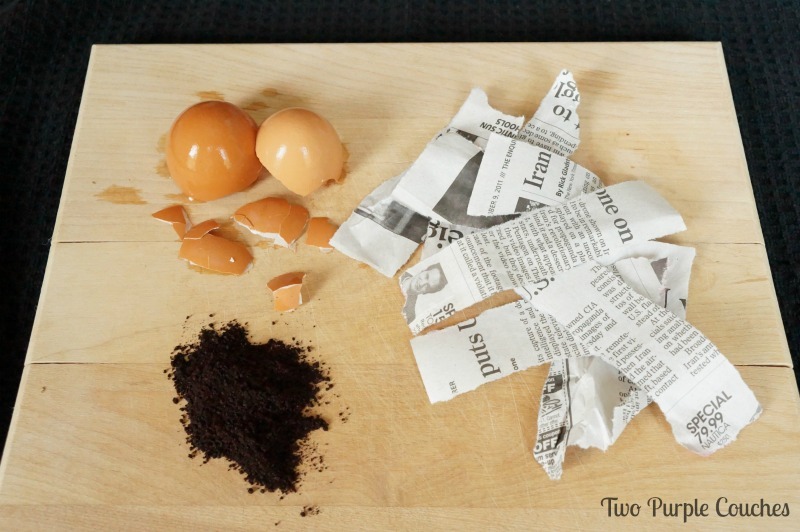 “Brown” scraps are drier ingredients like twigs, garden clippings, coffee grinds, paper towels and napkins, cardboard (cut into strips or shredded), etc. Yes, you can add items like cereal boxes and paper towel tubes to compost! How cool is that!? Okay, maybe this is me nerding out over natural science, but I think that’s pretty neat! I placed my YIMBY composting tumbler on our back patio at the corner of our house. It’s convenient to our back door for food-scrap-dumping trips as well as to our vegetable bed for finished-compost-spreading. Plus, this spot gets a good amount of sunlight each day. Compost needs air and sunlight in order to “cook” the ingredients properly. And it also needs to be turned, just like how you would occasionally stir a pot of chili on the stove to make sure everything is well mixed. That’s why these tumbling units are so handy – you can easily spin the drum around every few days! I loaded my tumbler up with a bunch of green scraps I’d stashed in our freezer, then added some shredded newspaper and cardboard and a good amount of soil to help my first batch of compost get started. With any luck, it should be ready in a few weeks! This entry was posted in The Great Outdoors on July 7, 2015 by Two Purple Couches. That’s so interesting! I will keep in mind this idea and maybe I will try it some day. I live in a flat and I can’t at the moment, but it’s something I’d like to try for sure. So far, it’s been easy to do. 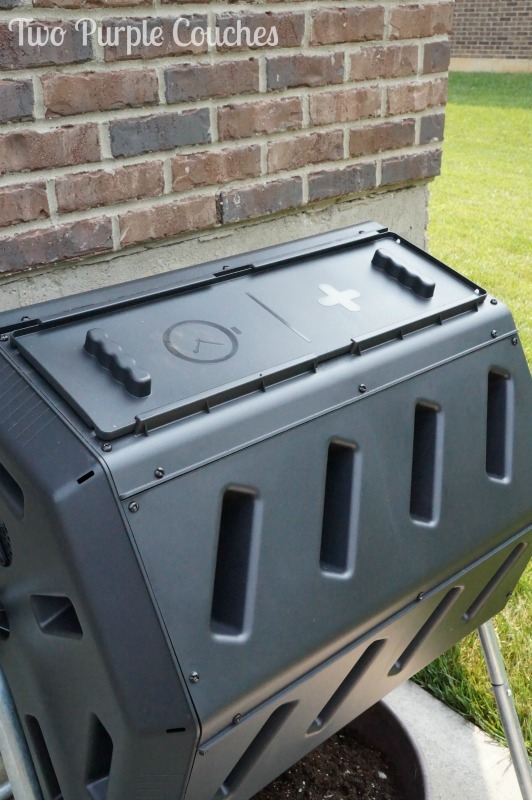 I’ve heard of other types of self-contained composting units that can be stored indoors, but I personally prefer to have mine outside of the house!